I carefully made my CVS deal shopping list and checked it twice and STILL forgot to put something on it. I had received a B1G1 Mega M&M 11 oz. 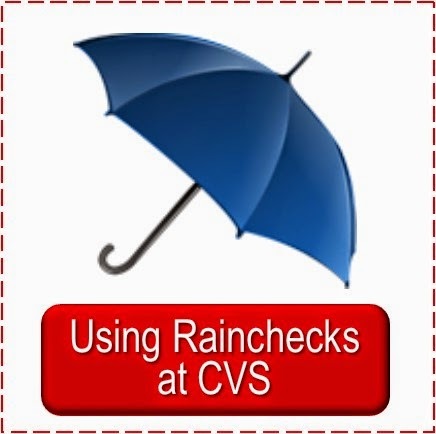 CVS scanner coupon a couple weeks ago. I saved it for this week because they were on sale 2/$6. These are for my nephew currently deployed with the US Navy and as Sarah was working on packing up his care package (mostly from CVS deals) she asked if I was still buying the M&M's this week...oops! So glad she thought of it before we shopped this week. 50%, but instead it did one of the $8.79 which means there was a little overage from the coupons that she wasn't expecting. This made my out of pocket just 49¢. I was able to get everything else on my list. 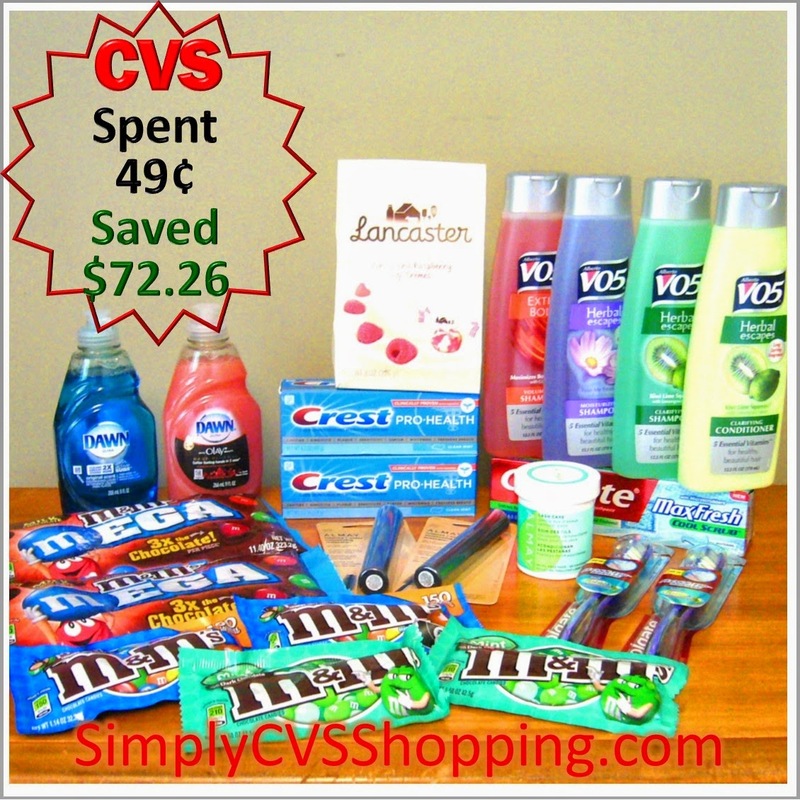 Here is my CVS shopping trip for the weekly ad of June 1, 2014. Once I was what I would call a "Committed CVS Shopper." I spent the time to get dozens of deals each week worth hundreds of dollars for just pennies on the dollar. But currently I can only handle being a "Carry Over CVS Shopper," using my extra bucks earned one week on the next week's deals. But I still find ways to save big on necessities for my family. You may enjoy reading the five CVS Shopper Personalities to see which you are or which you may want to become. 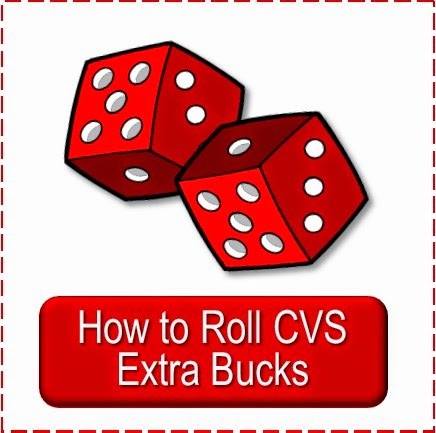 You can find all of this week's CVS deals, as well as next week's, listed in the tabs under the Simply CVS banner at the top of this page. 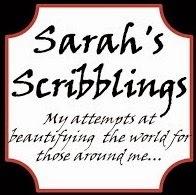 Including posts for $5 & $10 Scenarios and The Best Extra Buck Deals of the Week. Share your weekly shopping trips below or on our Simply CVS Facebook Page, or check out what others are buying. 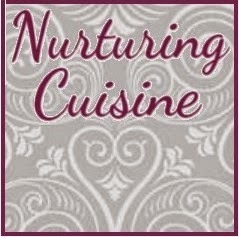 If you blog about your shopping trip we'd love for you to put a link to your shopping post below (a link back would be appreciated, but is not necessary); and if you don't blog leave a comment below with your trip details. 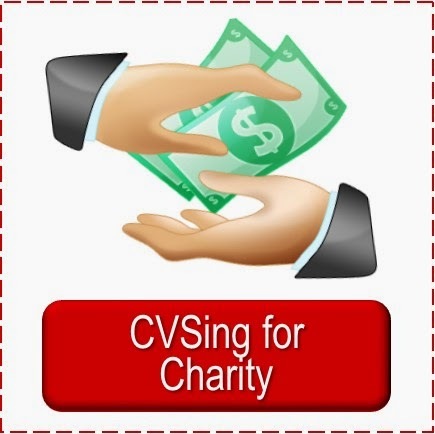 We enjoy seeing what others get and it is a great way for new shoppers to learn how to CVS. 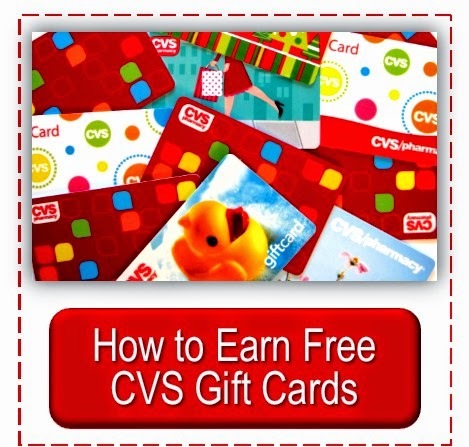 PLEASE NOTE: ONLY link up to your CVS shopping trip post directly, all others will be removed. Thank you. Wow, you did fantastic! 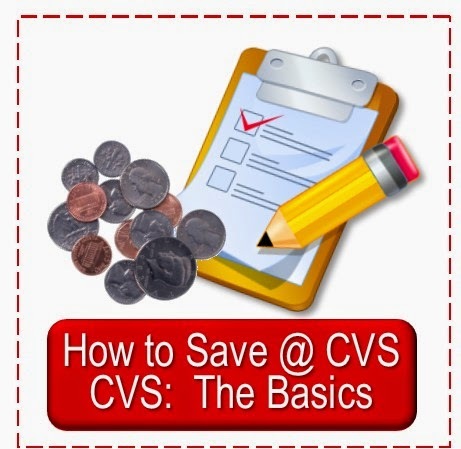 You almost made me want to start CVS'ing again. I just wish our CVS stores in South Florida were more coupon friendly. JR, I wish you could CVS, but I know what it is like to shop at non-coupon friendly stores. You do such amazing grocery shopping trips I'd love to see you CVS!